In this course just for guitar players, we start from the very beginning and build a complete approach to improvising on the guitar. If you have always dreamed of truly understanding music and being able to improvise with complete freedom on the guitar, this is the course for you! If you long to understand how music really works and how to improvise with complete freedom on the guitar, this course will be transformational for you. You will learn to understand the entire fretboard at once, allowing you to break out of memorized scale drawings and truly express yourself creatively. We will study the "inner workings" of many important chord progressions and you will learn to weave your own melodies across the chord changes. And you will learn to improvise your own accompaniment chords on the guitar just as freely as you can improvise melody lines. You do not need to know anything at all about music theory to begin, and you don't need to be able to read sheet music. This course will give you a solid foundation in both harmony and improvisation on the guitar that will serve you for the rest of your life. Break free from memorized scale drawings. Learn to solo across the entire fretboard in any key. Discover the inner workings of modern harmony. Master improvising over chord progressions and learn to weave your own melodies effortlessly through the chords. Learn how to play directly from your imagination, expressing your own melodic ideas exactly as you hear them in your mind. Learn to recognize chord changes by ear so that you can improvise over your favorite songs. Move beyond licks and patterns. Understand how music really works and create your own music right from the first day. 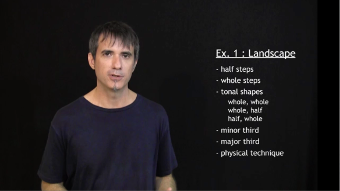 Gain a deep understanding of the "modes" and learn to express these sounds in your own music. 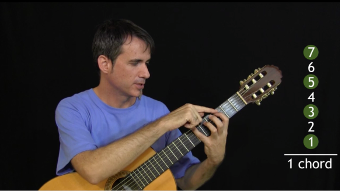 Learn to create a wide variety of chords and harmonic environments on the guitar. Special section on the 2-5-1 chord progression, the most important progression in all jazz music. You will learn to improvise your own original lines over this chord progression in any key. 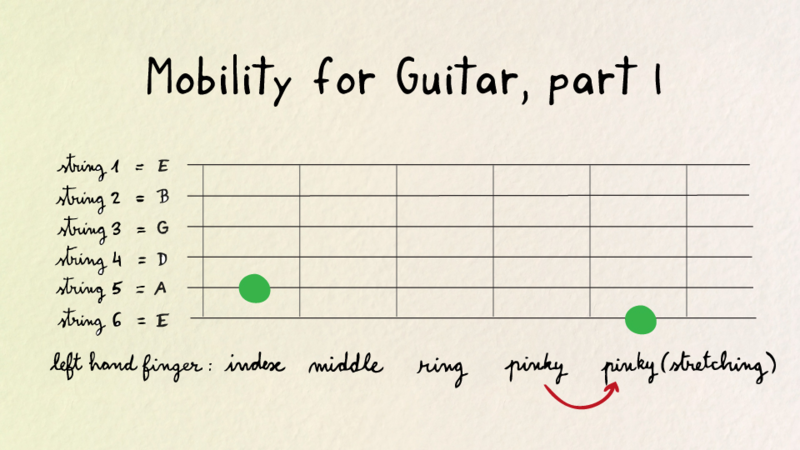 Method 100% integrated with your ear, with creative exercises for both guitar and voice. No prior knowledge of music theory or the IFR method is required. Everyone is welcome! 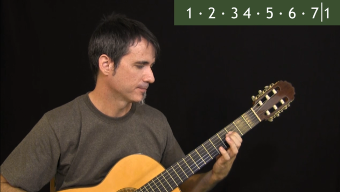 The video course consists of 30 lesson videos with step-by-step demonstrations on the guitar, plus extensive class notes with more than 200 illustrations. The videos themselves are short, crisp and go right to the point. Each video is between 10 and 20 minutes in length and teaches you the next step of the method so that you can immediately begin working at this new level on your guitar. Each lesson will give you about a week's worth of material to practice, and there are even self-tests and jam tracks to test your skills. Get the complete course including videos, class notes, self-tests and jam tracks for just $149. You can watch the videos online or download them all to your local computer to add them to your own permanent collection. All materials are yours forever. Just click on the “Add to cart” button to purchase this course for $149. You can make your purchase with any major credit card and you can access the entire course immediately. And if you don't agree that this course is the best investment you ever made in your guitar playing, just send us an e-mail within 60 days and we'll give you a full refund.